Character: The Legendary Series–specially brewed beers inspired by Belgian and local mythologies. La Dame du Lac means Lady in the Lake. Lakewood Brewing Company has made it’s way onto the site a few times in the past, all with above par reviews, as these guys make excellent beers. The legendary series are specially brewed beers inspired by Belgian and local mythologies. Each beer in the series is only brewed once, so I feel lucky enough to have gotten this bottle. I did miss the first beer in this series, Brabo’s Cut, a Belgian-Style Dark Ale. You can read the story of Brabo’s Cut here. 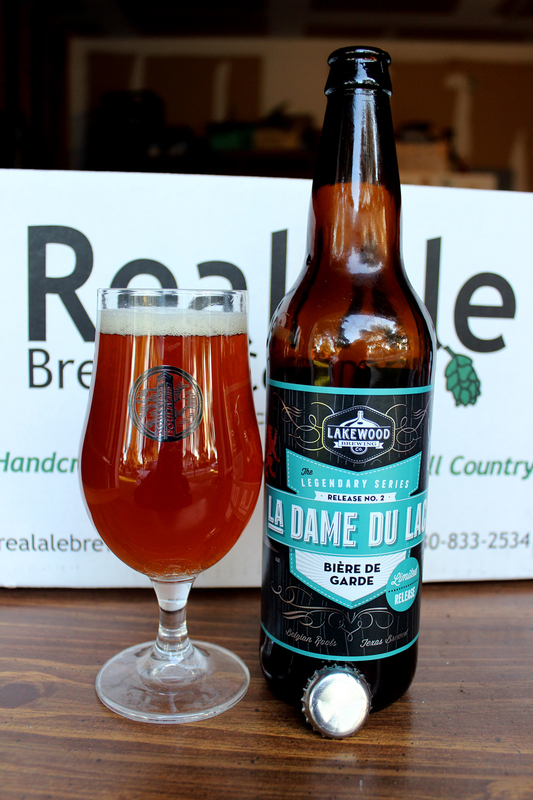 La Dame du Lac is the second beer in the Legendary series, and it is named after a local Dallas urban legend, the Lady of White Rock Lake. The legend goes, many midnight drivers have witnessed a strange woman, dressed in a soaked, long white dress, walking near the lake. She always asks for a ride home, as her car or boat has just sunk to the bottom. Obliged to help, the driver escorts her home in the back of their car, and upon arrival at the house, they turn around, only to find an empty, wet seat. They approach the house, and an older man or woman answers the door. They come to find out that the girl they just picked up was none other than the elderly person’s daughter, who died in the lake many years before. Poured from a 22oz bottle into a Boulevard Brewing Company tulip style glass. The beer’s appearance is a hazy, rich copper color topped with a half-inch bubbly, slightly off-white colored head. Little head retention, as it quickly faded to a few bubbles on top, leaving just tiny strands of sticky rings down the glass. The aroma was sweet. Great profile of honey sweetness right up front, followed by a nice aroma of fruity esters, like grape, and a mild banana. There is also an earthy, woody, musty aroma at the tail end of the whiff that lingers a bit in the nose, giving this beer a good cellar-like aroma. The taste follows the nose with this one. All the elements are present. The sweet honey character is up front but met with a mild banana taste. The body has the rustic, old cellar-like profile, full of earthy, woody notes blended with grape must. The aftertaste is the same, a lingering flavor of old rustic, earthy, wood. The body is a bit over medium, but not very thick. The mouthfeel is smooth, with a crisp carbonation, and a very nice dry finish. I am a fan of Bière de Gardes, and I was really excited when I picked up this bottle on one of my annual trips to Dallas, TX, as Lakewood Brewing Company is not available here in San Antonio. A Bière de Garde means “keeping beer” or beer to be kept in cellar. The taste of this beer, having the quality of old rustic wood really gives this one a great feature. It’s too bad that this particular beer was only brewed once and unless you find an original bottle, this beer will never be released again. I suggest you ask around, and see if you can find this one. Metal Connection: As the name La Dame Du Lac means Lady in the Lake, this Metal Connection was pretty damn easy. 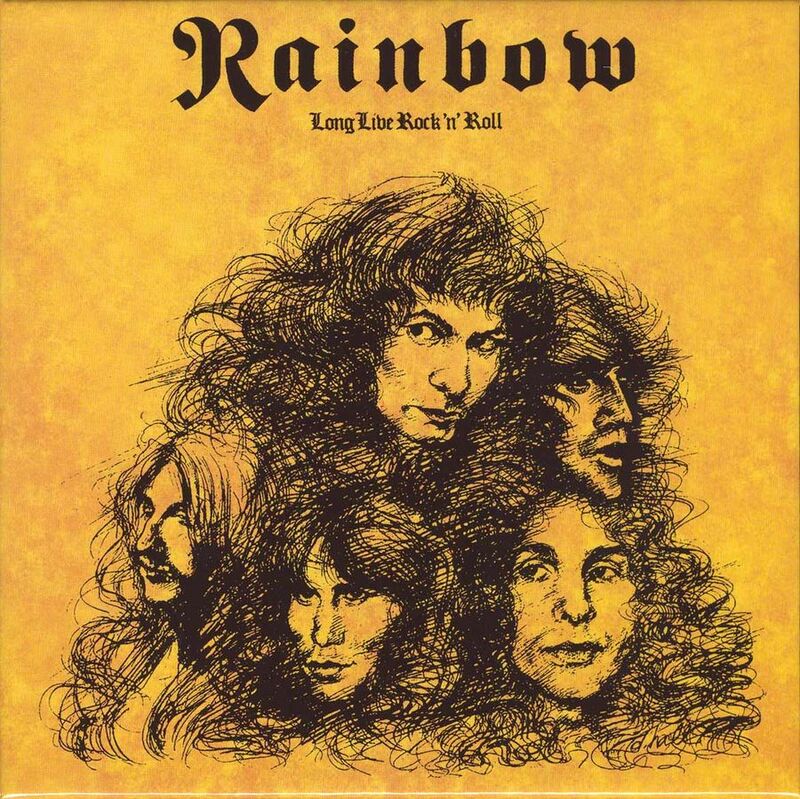 the band Rainbow was known for having lyrics about fantasy, mythology themes, and in 1978 on their third full length album, Long Live Rock ‘n’ Roll, there is a song called “Lady of the Lake.” What a fitting song this is for this pairing. The song is about a lady in white who takes you to the grave once she is seen.